When going on any camping trip that includes a beloved pet like your dog, repellent shampoos are a must to keep your pet healthy and insect bite free. The use of Citronella Oil in low concentrations is the perfect way to repel insects that would otherwise bite and annoy your pet. Repellent shampoos are an integral part of a camping trip or any other long term outdoor vacation in which your pet will need protection against bugs. Repellent shampoos are the perfect way to protect your pet from insect bites. Its non-toxic, organic material will protect your pet without harming him with nasty chemicals. Natural extracts also have important oatmeal extracts that can benefit your pet’s coat. The natural extract can help your pet’s coat become thicker, shinier, and give it a higher fortification. Additionally, the repellent shampoos are given added coconut oils and coconut fatty acids for a more healthy skin and coat in your pet. 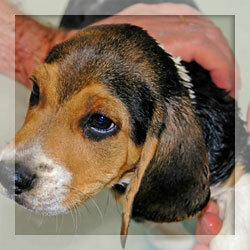 The essential fatty acids in repellent shampoos can hydrate and moisturize your pet’s skin. Another useful tip for repellent shampoos is that it is anti-allergenic. Its properties are safe for your pet even if he has skin allergies. The lemon scent from repellent shampoos also gives pet owners a reason to use it to keep their dogs smelling well during dirty camping or hiking trips. To apply repellent shampoo to your pet’s coat, thoroughly wet your pet in all areas where the shampoo will need to be applied. Make sure to protect eyes, ears, and mouth to make it most comfortable for your precious pet. Apply one to two ounces onto your pet’s coat and work into a rich lather. To allow for proper absorption, allow the shampoo to sit on your pet for at least one minute but no longer than two minutes. After allowing the repellent shampoo to sit for a time, rinse it thoroughly from your pet’s coat. If you live in an area where your pet often explores outside in a highly dense insect area, consider applying the repellent shampoo every two weeks to keep the pet’s coat constantly deterred from insects. When using repellent shampoos, it is important to note that if your pet is using any other kind of repellent then it is dangerous to use repellent shampoo in addition to other deterrents. Combining repellent shampoos with other forms of flea and tick solutions can be toxic and even lethal to a healthy dog or cat. Your pet’s enjoyment during outdoor activities is just as important as other family members. Make sure to give your pet the best time by properly applying repellent shampoos to keep away fleas, ticks, and mosquitoes. When choosing the right repellent shampoo for you, make sure the repellent shampoo is hypoallergenic . Test a small spot on your pet to ensure it will not harm him in the future. Making sure you have the right repellent shampoo and other necessary items, you will ensure that both you and your pet will have the most enjoyable outdoor experience.